YOU GUYS, lemony spinach and artichoke brie penne pasta today, I am so excited. 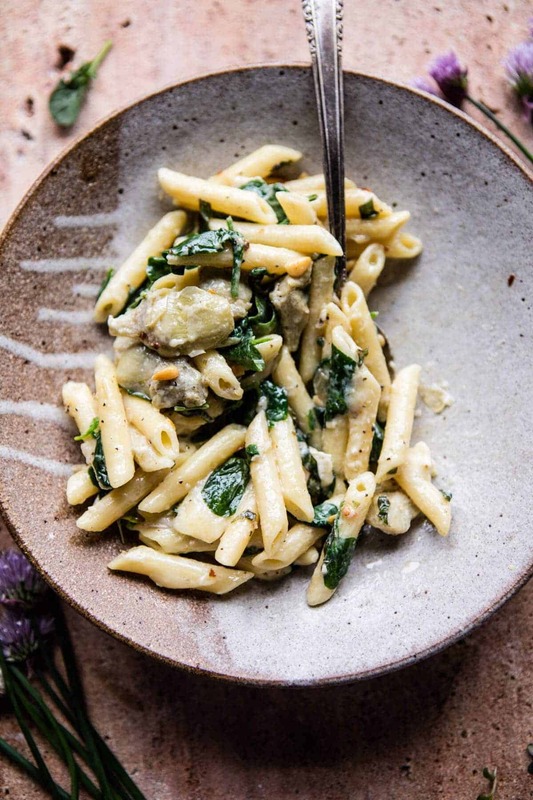 lemony spinach and artichoke brie penne pasta from Half Baked Harvest on Vimeo. 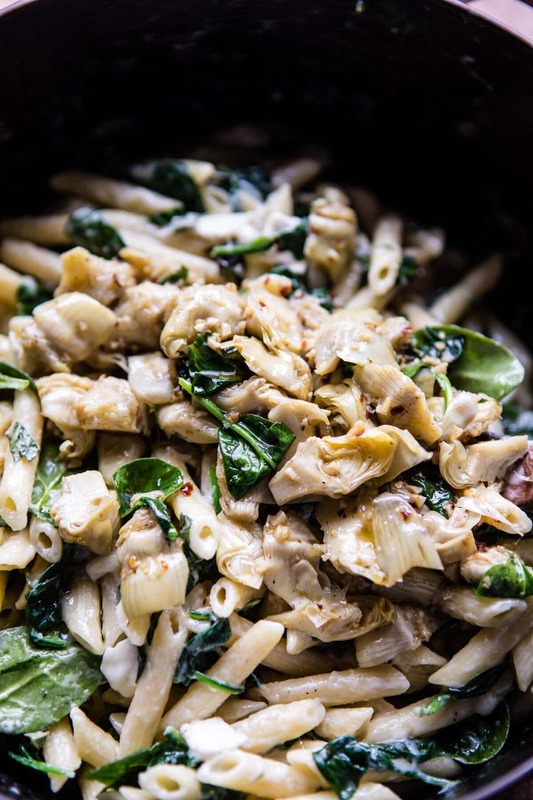 I am aware this pasta is kind of an indulgent Wednesday recipe, but it is SO worth it! And very spring inspired, thanks to all that spinach and lemon and those delicious artichokes. Oh my gosh, it’s just so good, talking about it, and staring at these photos, is making me think I need to recreate this recipe (for the fourth time in a matter of weeks) for dinner tonight. This really is just THAT good. But then, what on Earth could not be loved here? Pasta? Lemon? Spinach? Artichokes? BRIE?! All good on their own, but combine everything together in a pasta dish? Do you guys remember on Monday how I mentioned I has having some hard days the other week? Well, this pasta is the result of those hard days. Like most people, I totally crave comfort food when I stress. My comfort foods are kind of odd in that a lot of them are super healthy. I’m talking roasted veggies, fresh fruit, and tons of avocado. <–the foods I live off of most weekdays when recipe testing is not happening. Along with those super healthy things though, I also love pasta and cheese. I mean, DUH…it’s pasta and cheese. Yes, please! Plus, I was raised by a mom who could live solely off of pasta. My mom loves pasta more than anyone I know, and could eat it simply with butter and salt every day for the rest of her life (while you might have to add some bread in there too). It’s her favorite. Anyway, I decided I would combine all MY favorites and make one cheesy, buttery, and veggie filled pasta. Again, I know it maybe sounds indulgent, but hey, there is spinach and artichokes in here…so it’s totally healthy. Right? right! The secret to this pasta, I mean aside from the brie (oh the brie! ), is the olive oil/garlic/artichoke situation. Instead of just tossing everything together, first cook the garlic and artichokes separately in olive oil. Slow cooking the garlic in olive oil, along with the pine nuts, crushed red pepper flakes, and artichokes, allows the garlic to caramelize and infuse the olive oil with serious, but subtle garlic flavors. And while the garlic slowly caramelizes, the artichokes are frying in the olive oil, getting just slightly crisp on the edges. Yep, it’s the KEY to this recipe. 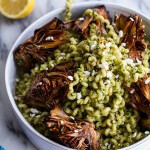 I’ve found with a lot of artichoke recipes that the artichokes just kind of fall to the wayside and are more on the bland side. But cooking them in olive oil and getting them a little crisp makes all the difference. Honestly, if you guys have never tried cooking the artichokes in oil first, you have to do it now. It is a game changer. The rest of the recipe goes as follows: boil the pasta, toss it with the brie to melt, then add the artichokes and lots of fresh lemon, and DONE. Dinner in thirty minutes and it’s probably one of the best you’ll make all week. <– for real. Oh, and if you guys didn’t already realize this, I clearly love the combo of spinach, artichokes and brie. Example one, two, three, and four. Can you blame me though? Heat the olive oil, garlic, pine nuts, crushed red pepper, and artichokes in a medium skillet over medium low heat. Cook, stirring often until the garlic is caramelized and the artichokes begin to fry and crisp on the edges, about 10 minutes. Meanwhile, bring a large pot of salted water to a boil. Boil the pasta until al dente, reserve 1 cup of the pasta cooking water and then stir in the spinach, cook 30 seconds and then drain. 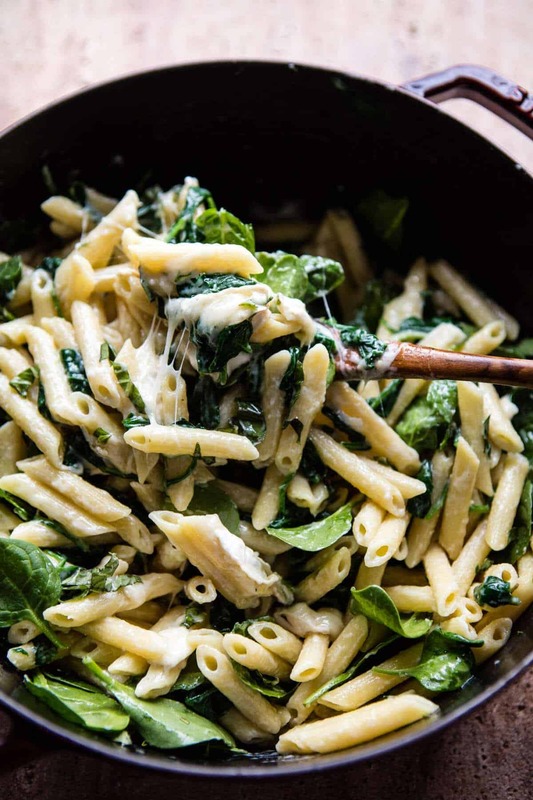 Add the pasta + spinach right back to the hot pot along with the mascarpone, brie, lemon zest + juice, and about 1/4 cup of the reserved pasta cooking water. Toss until creamy and combined. Add the basil and artichokes + oil, stirring to combine. Thin the sauce as desired with more pasta cooking water. Season to taste with salt and pepper. Top with jalapeños. EAT! Wednesday night, cheesy pasta. YES! what size of jar did you use for the marinated artichoke hearts? The ingredients list has links to products. It was a 14 oz can. Thanks for the response, Mary, but the link provided is to a can of plain artichoke hearts whereas Tieghan mentioned that she used a jar of marinated artichoke hearts…Tieghan, can you clarify? So… I guess so answer or clarity about the artichokes? Marinated artichokes and a can of plain can artichokes are very different. The recipes reads marinated, but links to plain canned. Which did you use? SO sorry for the confusion. I use marinated artichokes. Let me know if you have questions. So sorry for all the confusion everyone! It is 1 (8 ounce) jar of marinated artichokes. Hope that helps and let me know if you have any other questions. Thank you! SO sorry for the trouble. I use 1 (8 ounce) jar of marinated artichokes. Let me know if you have questions. Thank you! 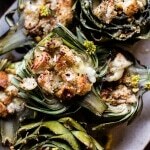 I’m not a fan of artichoke, but I guess I could easily leave it out of the recipe, couldn’t I? The rest sounds so yummy and delicious! Yes! You can leave them out completely or add another veggie like asparagus in their place. Let me know if you have questions. Hope you love this! 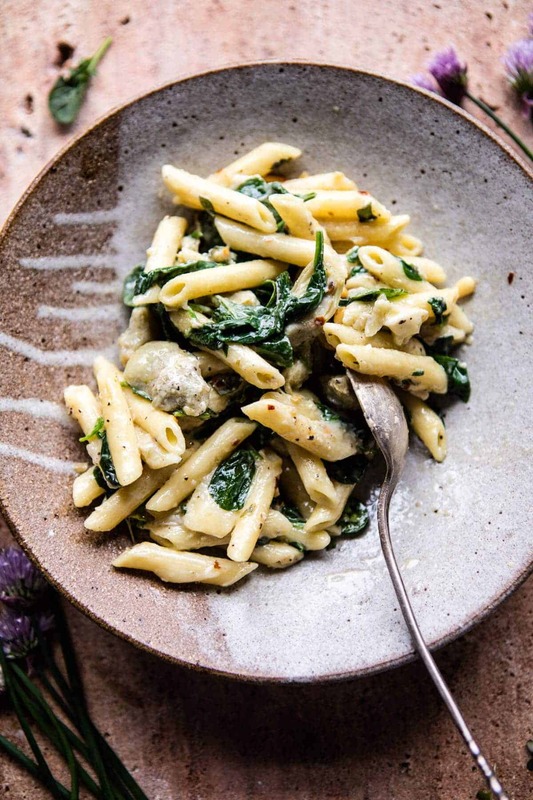 This pasta has all the ingredients for a super delicious cheesy dish! yes! Thanks Carlos hope you enjoy! Your mother and I are cut from the same cloth. 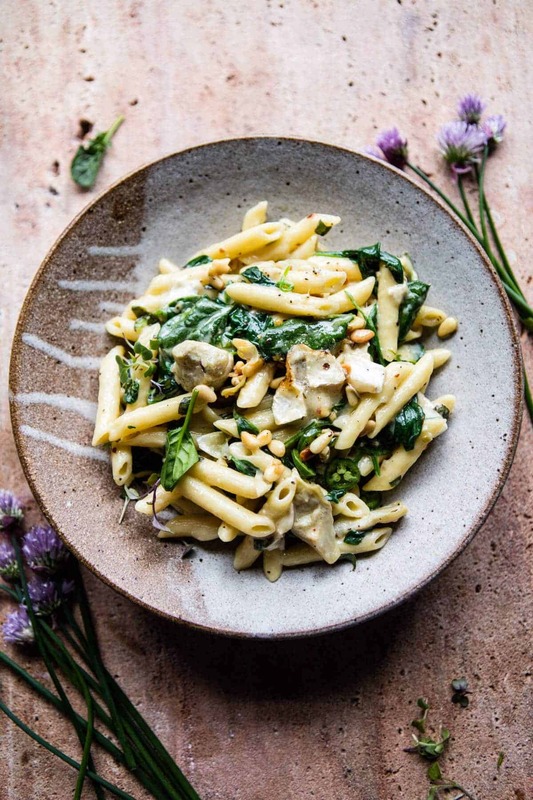 I love pasta of all shapes with a little Earth Balance butter and a little seasoning or, or, or . . . . Like you, I love spinach, veggies, or, or, or . . . . I have a collection of pieces of paper, index cards,, etc. 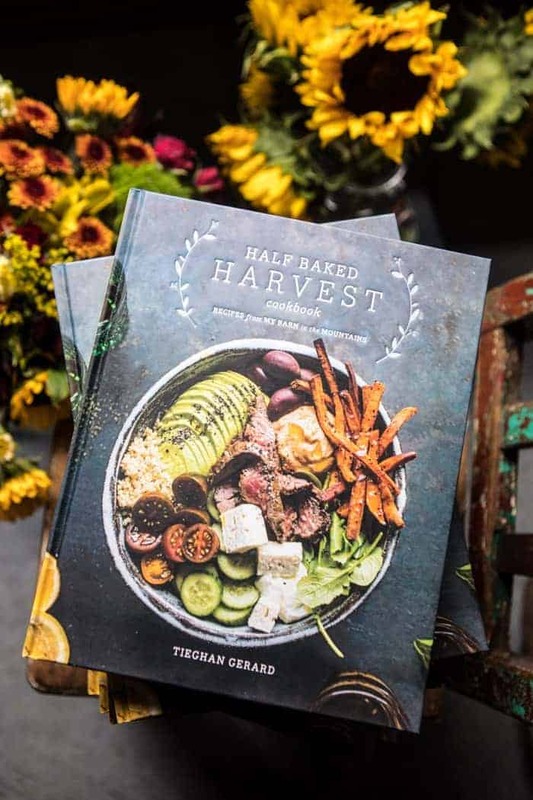 I promised myself that I would stop filling any and every shelf here with hard and soft cover cookbooks, but I must get one more, your new cookbook. Sincerely, another foodie who, unfortunately, does not always have enough time to fuss. Sounds like it! sounds a lot like my shelves! So funny. Hope you love the book and it doesn’t crowd to much! Thanks Judes! YUM….perhaps some grilled (blackened) chicken for a little extra protein. This sounds amazing!! What size jar of artichokes did you use? Thanks! There is nothing better and more comforting than a good plate od pasta! That’s why I keep it for special occasions only and this one looks absolutely perfect, yum! I think they do! Hope you love it when you try it Heather! Pasta is my go to comfort food too when I am stressed! Add spinach and artichoke to the mix… Yes please! Thanks for sharing! Ah yes! So perfect!! Thank you Leanna! Another winner, Tieghan!! Can’t wait to try! I also will serve with some simple grilled chicken. Well I’m definitely sold on this already! 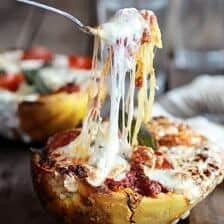 One of my favorite types of pasta sauce and the fact that brie is joining this party, well heck YES! The brie got me most excited too (: Thanks Tori! 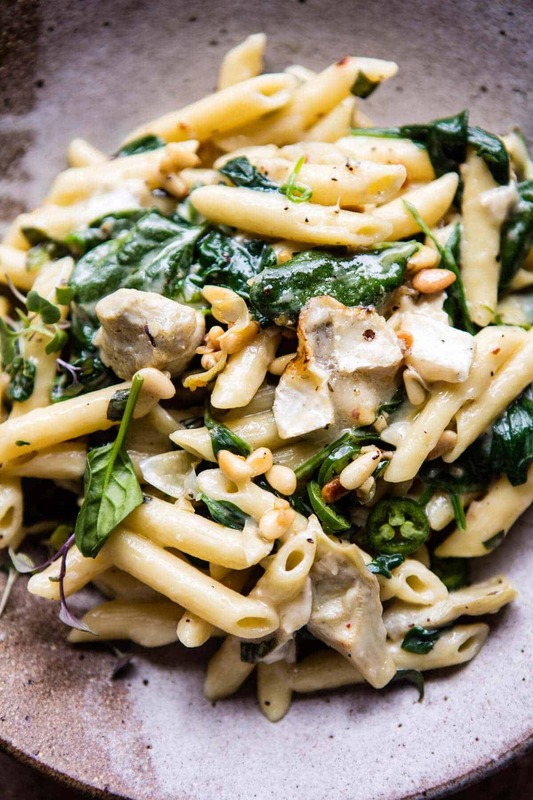 This looks so amazing and light for a pasta dish! 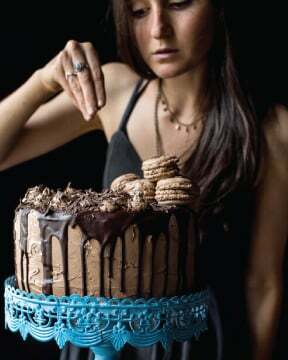 Absolutely going to make this! Yay, hope you love it Kate! 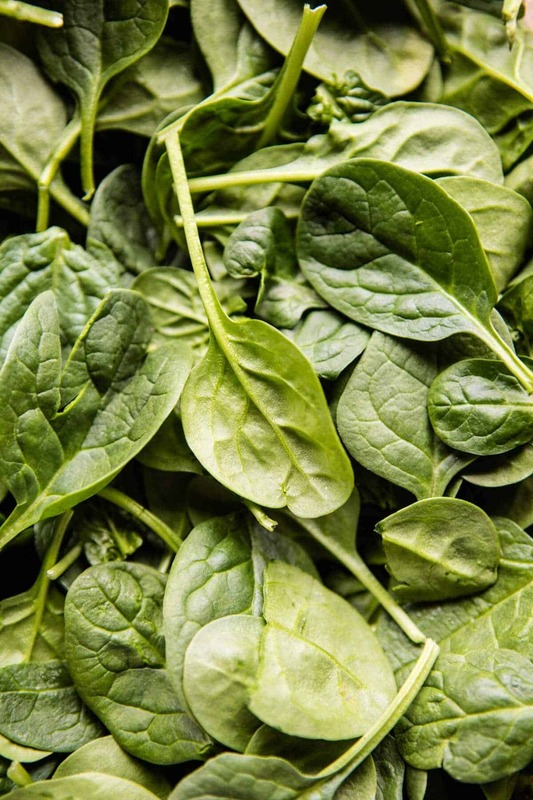 How about silver beet instead of spinach? That sauce looks like silk! The weather here is starting to warm up and this is exactly what I’m craving. 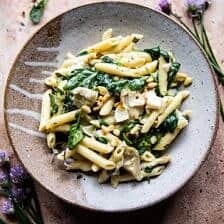 Something between lighter spring food and comfort pasta! Gorgeous! I wish is was looking like that here! Just got tons of snow ): Anyway I hope you love it Debs! Writing to you from Europe. 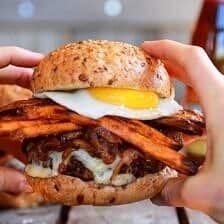 My daughter suggested this recipe (found through BuzzFeed). 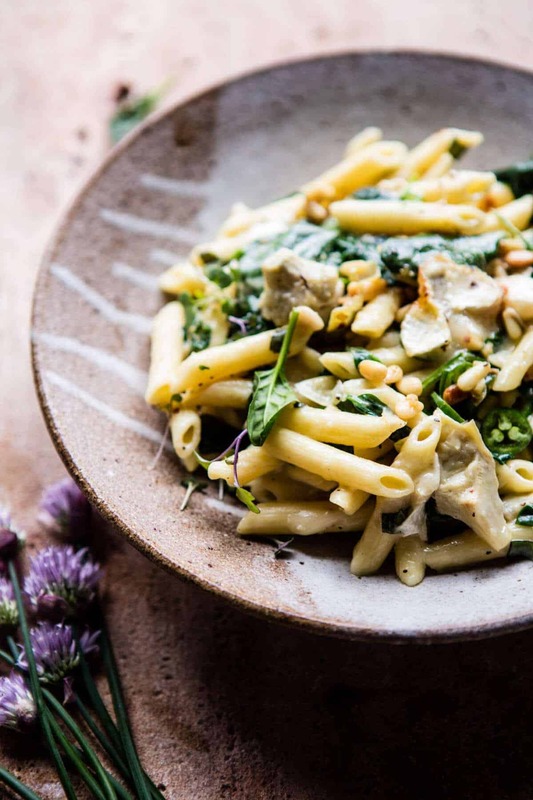 I was impressed with the ingredients – especially the use of the brie and mascarpone, since I never used those in a pasta dish. What I found out (and didn’t think of it beforehand) is that lovely mascarpone and brie are both exceptionally mild tasting) and that the end result is a dish that looks appealing, but is, because you used these 2 ingredients, TOO BLAND. Even the use of all the other wonderful ingredients – garlic, fresh basil, lemon zest and juice can’t save the dish. Best touch (so definitely no omitting) is artichoke hearts and a jalapeño (any type of chili will do) to give it some flavour. Maybe you should emphasise that you used baby spinach. The one I used was curly spinach. My suggestion would be not to blanch it, but put it in the oil/garlic/artichoke mixture at the end of the sautéing. 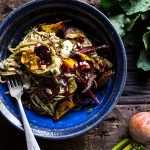 Finally – this pasta dish should be made with some other type of cheese. It’s a pity to waste such a wonderful cheese as brie, since it just disappears amongst all the other ingredients. Quite disappointing and dull. Really sorry you didn’t like it. I wish I could please everyone. 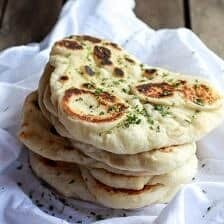 I also found this recipe through buzz feed and bland is NOT a word I would use to describe it! The tasty marinated artichoke’s, garlic, and pine nuts alone were hard to not eat straight out of the pan! I did add some grilled chicken. This recipe is absolutely a keeper. So rich and at the same time so fresh tasting! Thank you thank you thank you! Awh such a nice comment to get after hearing it wasn’t very good! Thank you so much! The chicken was a great addition! Just made this and it’s awesome!!! Great flavor! Sounds amazing! So happy you liked it Justine, thank you! Can I bake this?? Thanks! Sure!! 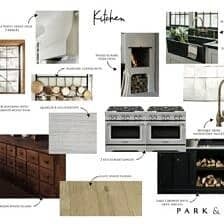 Baking will be great. Let me know if you have questions. Hope you love this! You are my breathing in, I have few web logs and occasionally run out from brand :). “The soul that is within me no man can degrade.” by Frederick Douglas. That is so great! Thank you Serah! I just now made this dish and am eating it as we speak. The only thing thing I did differently was cook the spinach along with the artichokes. I think it came out delicious! Surprisingly spicy, but maybe I overdid it a little with the red pepper flakes. To me it tastes like a more sophisticated version of mac and cheese. Thanks for the recipe! I am really glad you enjoyed this Laura! Thank you so much!! I am making this for dinner tomorrow. I would like to make sure that there are no recipe updates after the (single) negative comment. I was planning to use plain artichoke hearts since we do not have marinated, but I would love to know it that makes a difference. I am guessing it might, and I am already visiting City Market tomorrow for some of the other ingredients. I am so glad to have found your book and your blog! Hi Jennifer! 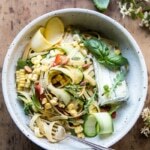 I hope you love this pasta and it turns out amazing for you!! Thank you! I really enjoy artichokes so happy to see them in a dinner recipe. Question – do you take the rind off the Brie? Made this for dinner last night and it was perfect! I actually didn’t have a jalepeno or mascarpone, but I did have trader Joe’s artichoke jalepeno dip, so I added 2 T of that, and it worked out! I posted about it on my blog https://thankles.com/2018/03/26/march-cookin/ and your broccoli chicken dumpling soup is another of my favorites so thanks for a delish dinner and delish recipes in general! :)You are awesome! Awh thank you so much Hannah! I am so glad you enjoyed this recipe! I just made this and it’s wonderful. I had whole wheat penne pasta, fresh spinach, marinated artichokes and pine nuts and brie. Also had a wonderful havarti for the creaminess instead of the mascarpone. Being lazy, I cooked up the pasta first, saved some of the water, and let the pasta drain, then cooked up the artichokes, already roasted garlic from the olive bar at the store, pine nuts and used some of the artichoke marinade instead of all the olive oil suggested in the already warm pasta pot. I used about 2 T. of good olive oil and about 2 T. of the artichoke marinade, and started with 1 tsp. of the red pepper flakes, added a bit more. I added a bit of commercial Sicilian seasoning and thought some sun dried tomatoes added in would be great in another incarnation, Thank you so much for all you are creating in this world, Tieghan. I am Vegetarian, thinking more of vegan at times, but love your creativity and how it inspires us! Sounds amazing Wendy! I am so glad you liked this pasta!! I made this! I bought fresh pasta instead of boxed and added chicken. I didn’t use marscapone cheese but I did Brie. So yummy!!! I am so glad you liked this! Thank you Diane! There are no words for how delicious this is!!! AMAZING!! Thank you!! I am so glad you liked this! The base on this is delicious, but I used more garlic, pine nuts, spinach, and basil than recommended and added haricot verts and mushrooms, as it is a ton of pasta and cheese. I am so glad you enjoyed this! Thank you Marcel!